Rep. Rashida Tlaib's (D-Mich.) profanity about impeaching President Trump received five times more coverage on cable news than Rep. Steve King's (R-Iowa) questioning of why white supremacy is considered offensive, according to data collected by the liberal non-profit Media Matters for America. 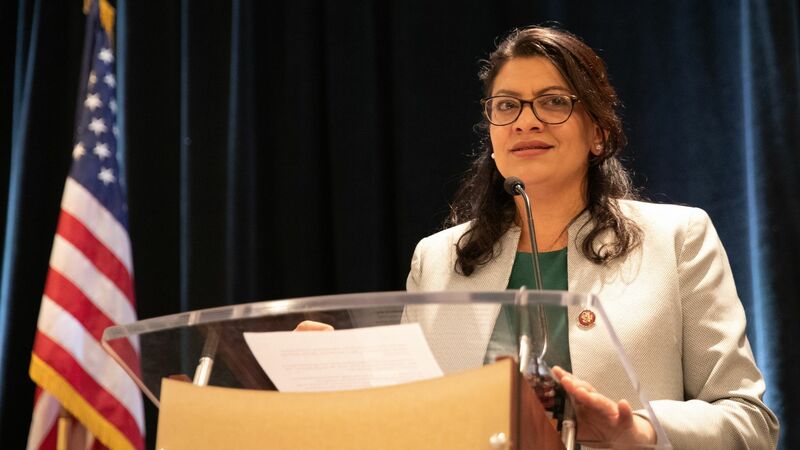 Details: Tlaib's call to "impeach the mother***er" got more than two-and-a-half hours of air time from MSNBC, CNN and Fox News, 24 hours after the comment was made. The bulk of the coverage came from Fox News, which devoted 52 minutes to Tlaib. King's comments on white supremacy received less than 30 minutes of cable news time from the same three outlets in the first 24 hours. Fox News covered it for 42 seconds.